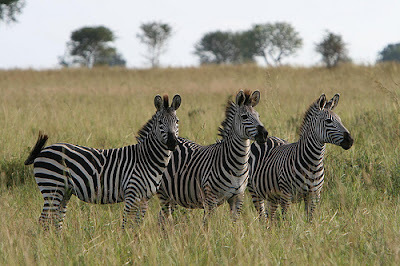 Many tourists come to Tanzania to go safari. Few go on safari in a public transport bus seat. – Iringa is 500 kilometres west of Dar es Salaam and an eight-hour bus ride along the Tanzam Highway. The largest town on the way is Morogoro. Some 150 kilometres west of Morogoro, the highway runs through Mikumi National Park for 50 kilometres. This was a great opportunity for me to go on a mini safari while on a public transport bus. Baboons squatted near the roadside and watched the traffic zoom past. Elephants foraged and zebras galloped further afield. Our bus slowed down when a troupe of giraffes ambled across the road. They blinked their velvety brown eyes and behaved as if they owned the place. This was a great chance of me to go on a small opera while on a trains and buses bus. Baboons squatted near the kerbside and saw the visitors contact previous.